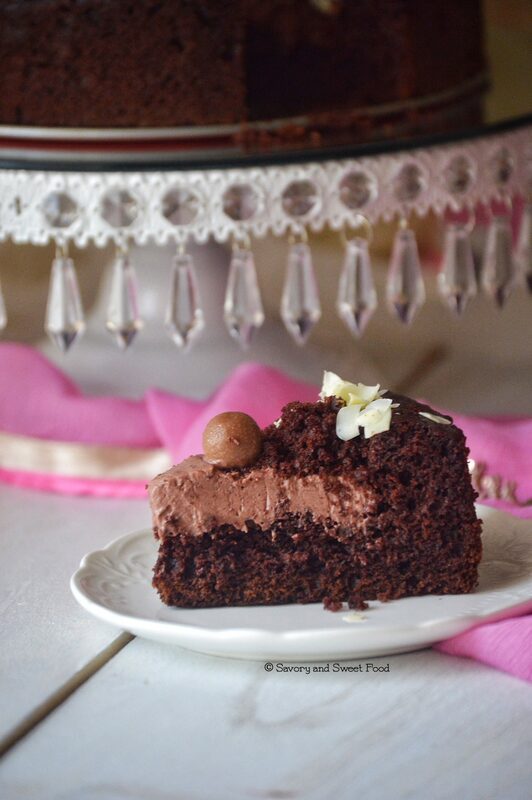 Super Easy Chocolate Mousse Cake, a very creamy and decadent mousse layered over the a rich chocolate cake made with a box cake mix. So easy and so yummy. I’m sure most of you know that I was in Dubai with my parents last two months. I had a great time there, all thanks to God. The best part about my visit to Dubai was my big brothers wedding. It was a beautiful one and he brought home his beautiful wife. I have never seen my brother so happy and so in love ever. 🙂 MashahAllah! They are made for each other, I’m sure that they both will make each other happy always, in shaa Allah. May Allah bless them always, Ameen! I had met some of my Dubai readers too during my stay there. It was so humbling and nice. Very sweet people. I also met Rafeeda of The Big Sweet Tooth, it was so much fun with her and her kids. Then there was Eid, our family trip, meeting up with my best buddies, enjoying umas yummy food and her pampering, staying awake late night chatting with my sister, being around my sweetheart Yasmeen (my niece), having interesting conversations with younger brother and then annoying him :D, waiting for my husbands visit during the weekends….it was all too good. So I can say that I got the best and much needed break. Now I am back with high spirits and full energy. I will be back to blogging regularly like before. I have noted down many of your recipe requests which you had given in the survey. So I will start my cooking experiments soon and post new recipes. 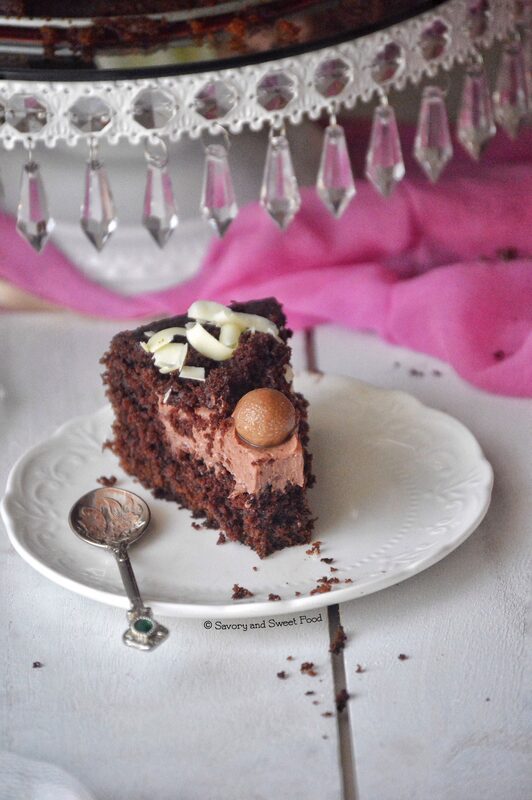 Today I have for you this easy chocolate mousse cake recipe. 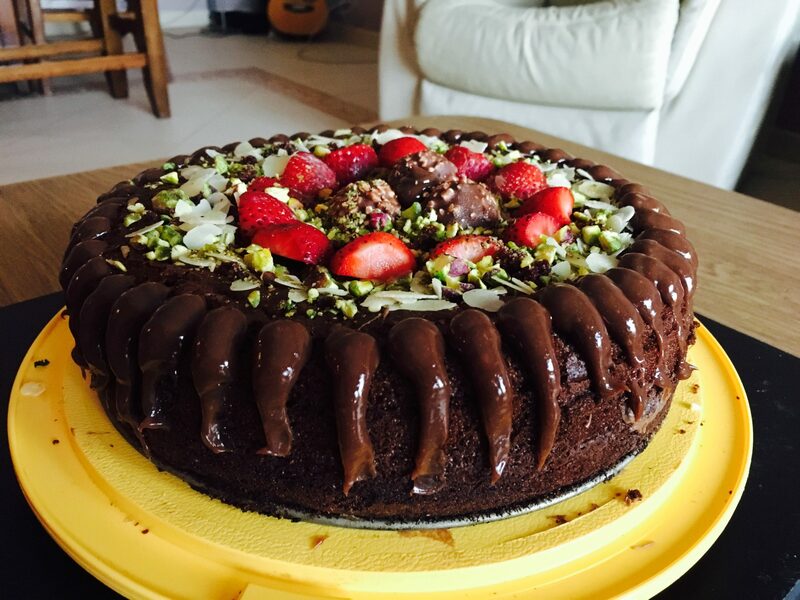 Its so easy because you can use the ready cake mix to bake your cake and the mousse can be prepared by blending all the ingredients for it in a blender, pour it on top of the cake and refrigerate. I had made it for my friends in Dubai and they loved it. Please do try this out Im sure that you all will love it too. 🙂 Here is a video tutorial. 1 Betty Crocker (or any other brand) chocolate cake mix plus the ingredients needed to bake the cake as per the package directions. I used cake mix to prepare the cake. But you can make the cake from scratch too. 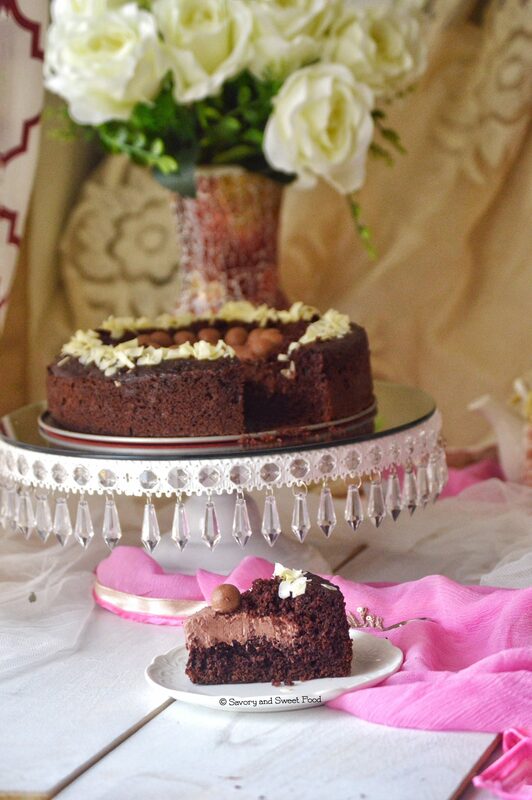 I used Betty Crocker super moist chocolate cake mix for this recipe. I had used the same brand Devils Food cake mix too and that was also good. After blending the mousse mixture, if you feel the the mix is too thick, you can add a little whipping cream and blend more. Bake the chocolate cake as per the package directions. Let the cake cool a bit. Scoop out the middle part of the cake as shown in the picture and the video. Keep some of the cake pieces for garnish and add the remaining into a blender. Add in the cream, dream whip powder, milk, cheese and chocolate powder. Blend well for 2-3 minutes. Add almonds into the cake cavity. Pour the mousse on top and layer it well. 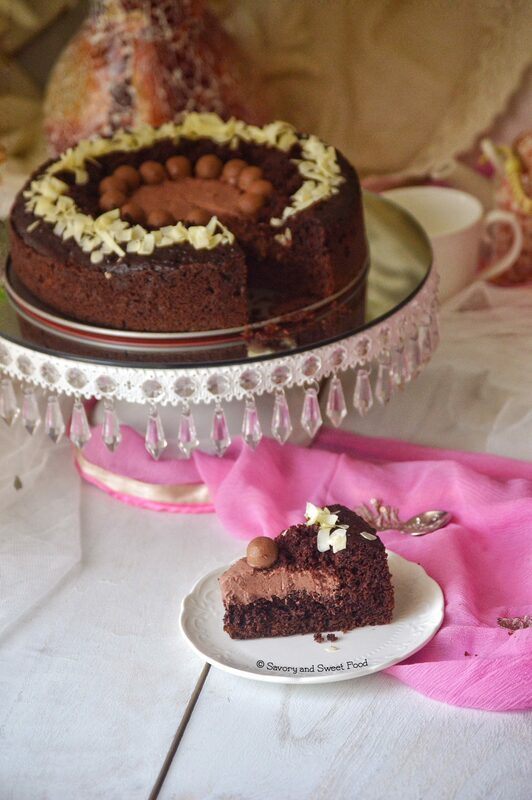 Garnish with the cake pieces, maltesers and chocolate shavings. You can use ganache to garnish the cake by pouring it on the sides. 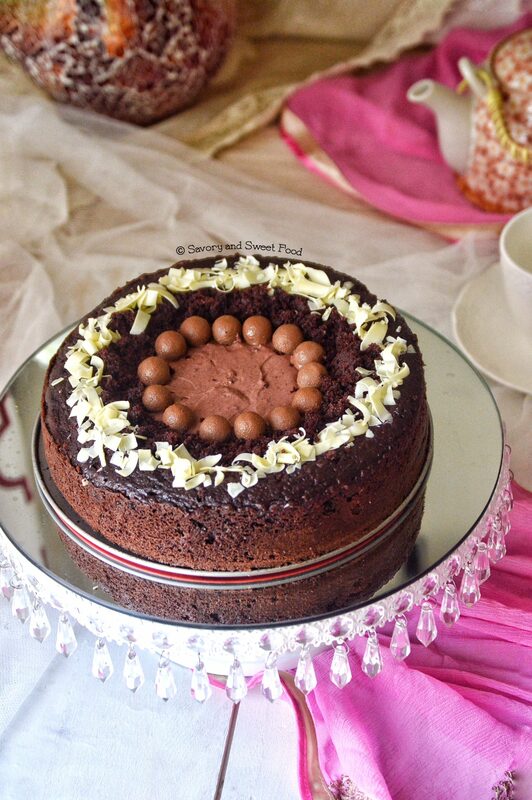 Try with chocolate cake mix itself Shinaz. Vanilla would taste different. Love your recipes coz they’re easy to make and have ingredients that are available in the gulf region. Keep it coming….. Thanks! And you made the cake look even prettier. welcome back dear,I have checked so many times for recipes in your blog,whether you are back.Beautiful clicks as always. Thank you Priya! How sweet of you. I’m going to try this! Looks so delicious !! Hope you will like it Sibel! Hey welcome back Sadia!what an awesome idea if making mousseloved it! I loved that cake holder too hehe! The recipe calls for Ferrero Rocher. But I don’t see it on the cake…Where did it go Sadia?? I dont blame you.. They are my favourite too. They never make it past me into a recipe..
of this blog; this website includes remarkable and actually good information in support of readers.